The U.S. 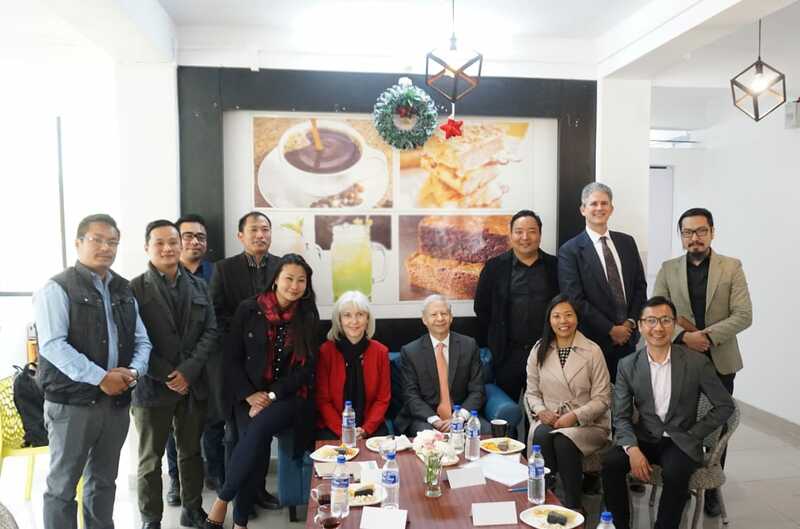 Ambassador to India Kenneth I. Juster visited YouthNet’s ‘Made in Nagaland’ Center and was really impressed by the Center and the various products displayed of the local entrepreneurs, articulating on how he was inspired by the optimism of the entrepreneurs and growth of entrepreneurship in Nagaland. In an insightful discussion with some of leading entrepreneurs of Nagaland stated that Nagas have incredible story to share about entrepreneurship while incorporating tourism. He also shared his opinions on how the U.S Government can assist and collaborate with entrepreneurs in Nagaland to set the pace in the entrepreneurial ecosystem to take Nagaland forward. The meeting was attended by Consul General Patricia L. Hoffman, Public Affairs Officer James A. Dragon, Executive Director of Nexus American Centre Erik Azulay , Hekani Jakhalu founder YouthNet, Director of YouthNet Lezo Putsure, Neichute Duolo CEO of Entrepreneurs Associates, Richard Belho founder Zynorique Initiatives, Ben Imchen proprietor of Elysium Tech, IT Conultant (SEMT) Yanfo Kikon, lawyer Joshua Sheqi, Inoka Sonam Khulu CEO of Zatara Pvt.Ltd, Lichan Humtsoe founder Ete Coffee and Nune Chase Head, Learning & Development and Talent Management at YouthNet. The meeting was followed by the lunch of the Hornbill First Cut; inter collegiate entrepreneurship competition by Mr. Erik Azulay, Executive Director of Nexus American Centre, presented by YouthNet in partnership with Department of Tourism. The 2018 edition of Hornbill First Cutcompetition is under the theme ‘Made in Nagaland’ the reason for the theme being products, ideas, services that are locally made are still very undervalued and lack recognition hence its promotion and endorsement must be encouraged. Each team was given a seed capital of Rs. 20,000 to execute ideas within a stipulated time period. The objective is to educate students about entrepreneurship and opportunities in the private sector while giving them a taste of the challenges that they will face in the business environment. This year there are a total 11 teams participating from 6 colleges consisting of 55 participants, each revenue generated is given to the students while the winning team will also get a free trip to metropolitan cities.